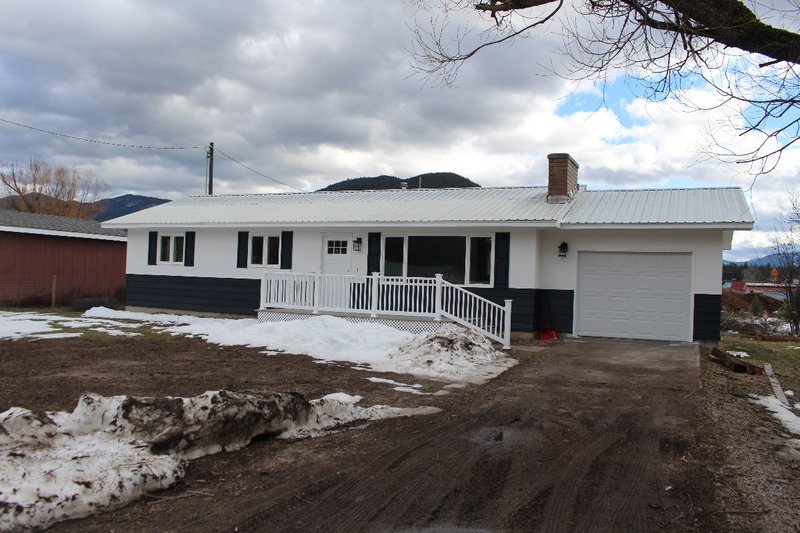 Check out this western Montana home that is for sale located in the friendly rural town of St. Regis. This home has had a complete remodel; new flooring, updated plumbing and electrical in the kitchen and bathrooms. There are new stainless kitchen appliances, hickory cabinets and washer and dryer. The home is open and bright with a gorgeous fireplace and new front porch. Basement is full size, but unfinished so there is tons of potential to add a family room and more bedrooms. Home is on community sewer and its own well. Walking distance to schools, cafes, banks, shopping and more! Great area to fish, hunt or, ride ATV trails in. If you need a recreational adventure then head over to the Clark Fork River, St. Regis River, Flathead Lake, Lolo National Forest, Lolo Hot Springs, Seeley Lake or, the National Bison Range. Please contact Judy Stang for any questions you may have at 406-822-2316. Priced at $159,000.